This Minnie Mouse cake is definitely one of my favorite cakes made to date. 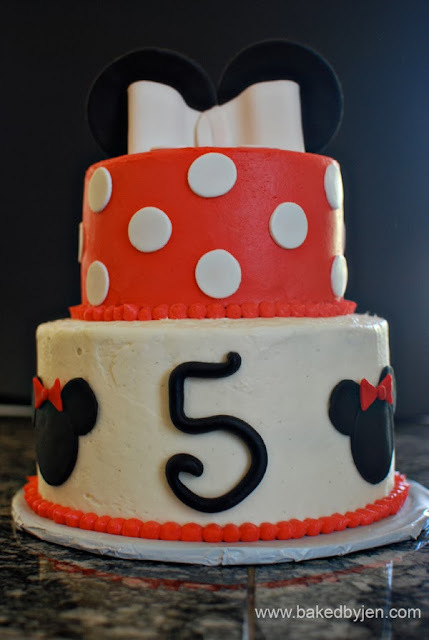 It was requested by a friend for her daughter's 5th birthday. I have seen this design done plenty of times and I was very excited to finally get the chance to replicate it. The cake was 2 tiers of chocolate cake with oreos and oreo buttercream filling with a vanilla bean buttercream frosting. 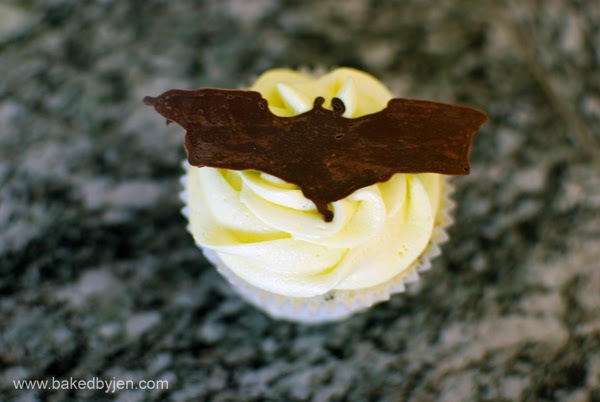 All decorations were made with store bought fondant. The ears and the bow were the only 2 things I made in advance. I loved that the details were very simple (a lot of circles) but once the cake was assembled, it made quite the statement. This past weekend was Cake4Kids' 3rd annual CakeOff4Kids event. Because a few of the bakers that signed up to bake in the contest dropped out at the last minute, I volunteered to bake a cake for the event. The category I was "entered" in was the Ultimate Chocolate category. 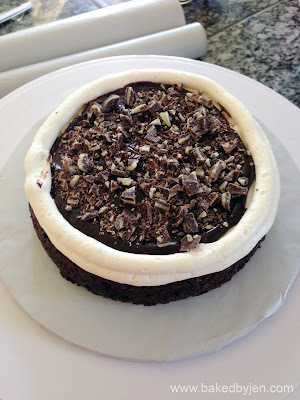 I went with my go to chocolate cake baked with chopped Andes Mints, filling it with ganache, peppermint butter cream frosting, and more crushed Andes Mints. I searched high and low for the Andes baking chips that I have used often in my Best Brownies with no such luck. So, I enlisted the husband to unwrap two boxes of Andes Mints and I manually chopped them to bits. The contest required two cakes, one for the judges and one for the guests. 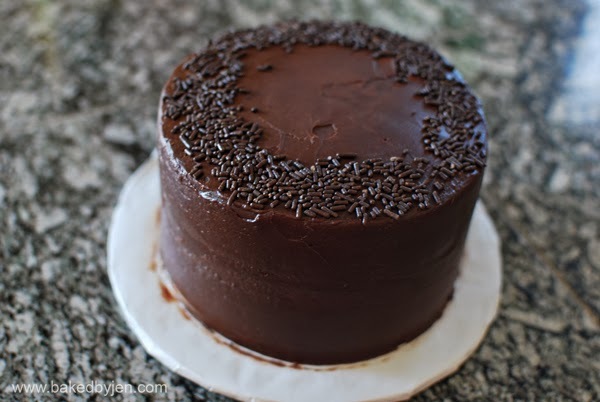 For the judging cake, I wanted to make it taste as "chocolately" as possible. So, in addition to filling the cake with ganache and peppermint butter cream frosting, I coated the outside of the cake in the same. 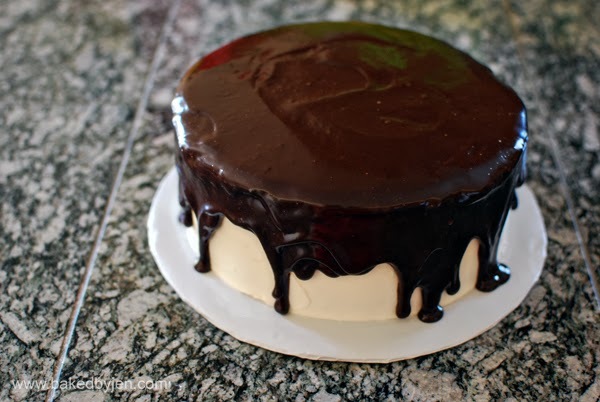 For the tasting cake, I went with the classic ganache pour with all of the leftover ganache. I didn't place in my category but I had a small sample of the cake and this combination definitely jumped up my list of favorite cakes. I can't wait to replicate it for the Holidays. This cake actually started out as an attempt at i am baker's rose cake but my roses came out so wonky. So, in the last minute, I just took a spatula to it; turning it into a simple ombre cake instead. 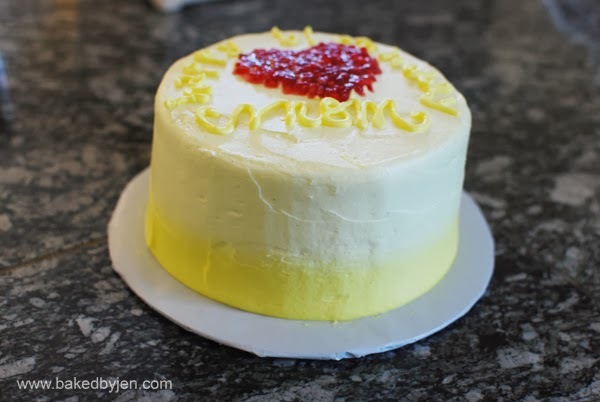 The cake was a white cake with lemon zest and lemon extract filled with smashed raspberries and a vanilla buttercream frosting. With the last of the raspberries, I made a heart in the middle but in the end, without creating a border, it just bleed everywhere (pun not intended). For my niece's birthday party, I made a chocolate cake with Oreos baked in the batter. 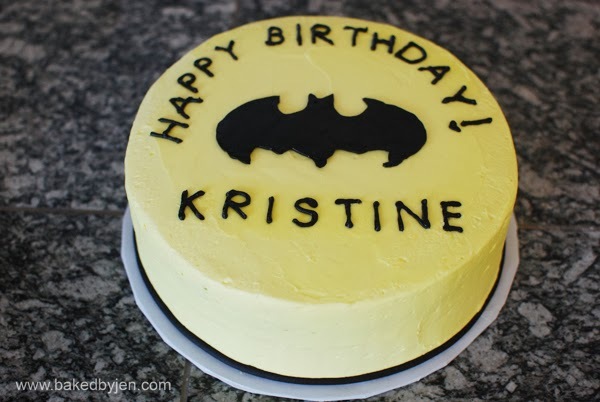 She is currently obsessed with everything Batman so I used the frozen buttercream transfer method to quickly decorate the cake. My sister helped by using the same method but with melted chocolate to make mini toppers for the cupcakes. I celebrated Labor Day weekend with a few friends over for a backyard BBQ. What better way to say goodbye to summer than with a dessert chock full of peaches. 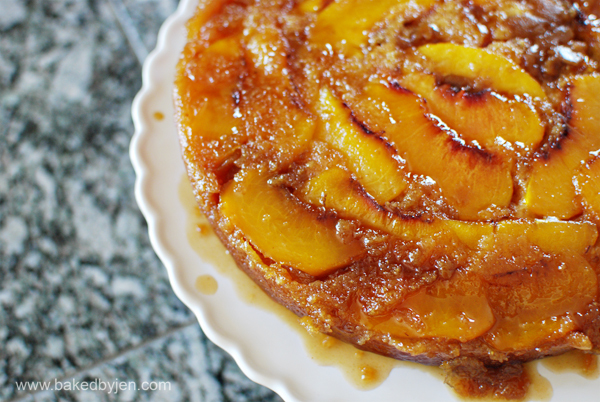 Enter the peach upside down cake from Baking Illustrated. The recipe was perfect with the sugary sweetness being balanced with the dense yellow cake. 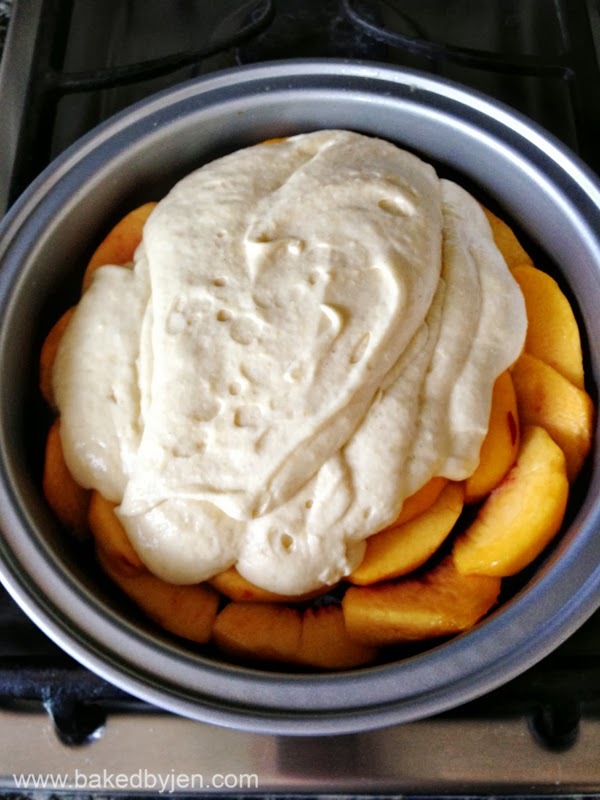 Also, the dense cake was the perfect vessel for weight of the peaches as well as soaking up the brown sugar sauce. My husband, who is amazingly immune to my baked goods, asked for seconds.